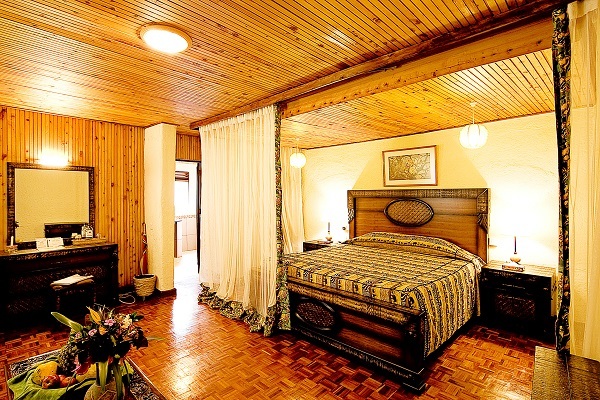 A budget safari that delivers optimum variety in the minimum time without sacrificing comfort and time on safari, this road safari features a selection of tried and tested safari lodges. 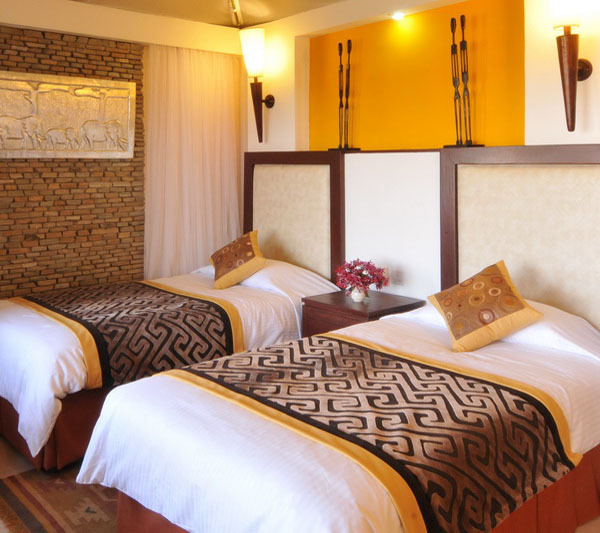 As for sights and scenery, it offers the elephants of Amboseli National Park set against the backdrop of Kilimanjaro, beautiful Lake Naivasha against the backdrop of the Mount Longonot volcano, the famous flamingoes and rhinos of Lake Nakuru, and the unrivalled wildlife of the Masai Mara National Reserve. Upon arrival at Jomo Kenyatta International Airport, you will be met by our representative and transferred to the 5-star hotel The Boma. Dinner (not included) can be taken at the hotel or at any of the city’s many restaurants. Breakfast at your hotel. 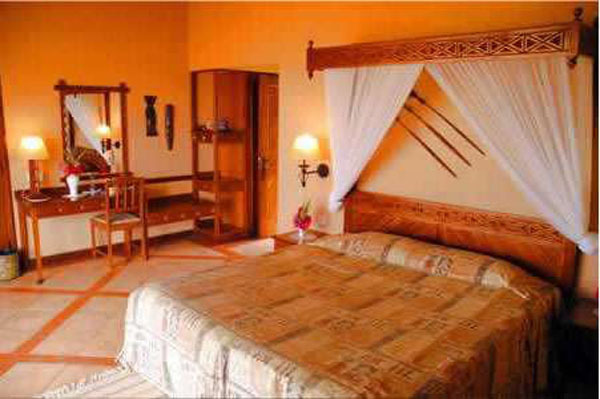 Thereafter, you will drive to the famous Amboseli National Park and check-in to Ol Tukai . 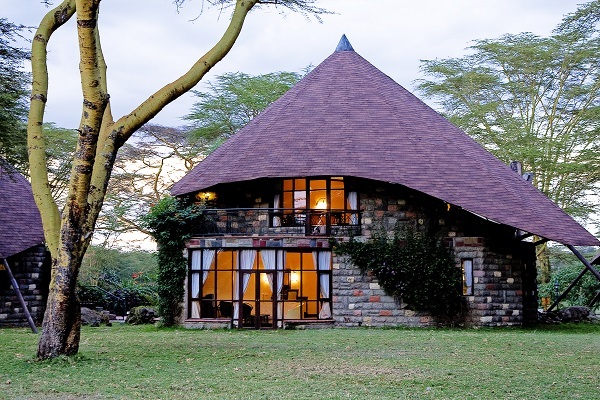 Built in 1996 and one of Amboseli’s best-known lodges, Ol Tukai Lodge lies at the very centre of the park. Close to the main swamp area, it enjoys stunning views of Africa’s highest mountain and the legendary ’Snows of Kilimanjaro’. In the afternoon, take a game drive around this panoramic yet compact park, which is dotted with emerald green swamps in which great herds of elephant wallow half-submerged in the papyrus grasses. These permanent marshlands also provide a potent draw to hippos and buffaloes, while offering a haven for the abundant water birds. In the evening, enjoy sundowners in one of the lodge’s two bars, explore the wildlife library, or take a swim in the pool. After dinner in the atmospheric central dining room, enjoy a display of traditional Maasai dance or a wildlife talk (optional). Observation Hill, a conical peak, which is easily climbed, offers stunning views of Mount Kilimanjaro. Lunch and dinner will be taken at the lodge, whose grounds also offer the opportunity of optional nature walk with bird-spotting (150 species in the grounds alone). Breakfast, lunch and dinner at the lodge. 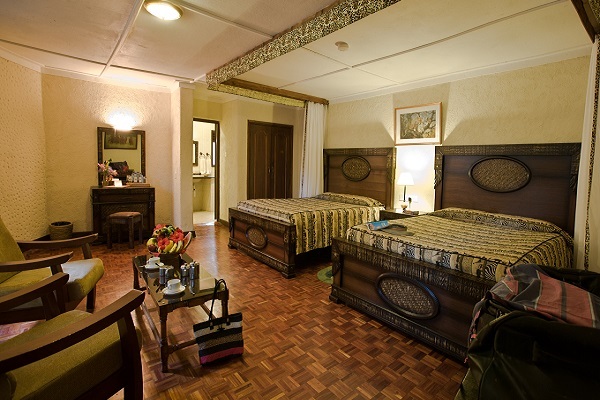 After an early breakfast at the lodge, drive to Nairobi and down the spectacular Great Rift Valley. In the afternoon, arrive at the Lake Naivasha, a freshwater lake, the highest of the string of lakes that glitter down the vast trench of the Great Rift Valley. Towered over by the brooding bulk of Mount Longonot (2,776 m), and featuring a submerged volcanic island known as Crescent Island, this beautiful lake is best known for its high numbers of water birds. 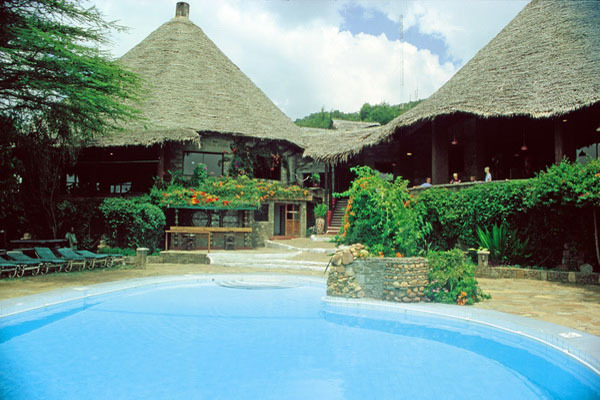 In the afternoon check into the luxurious Lake Naivasha Sopa Lodge, lunch and spend the afternoon relaxing by the pool, taking an optional boat-ride on the lake, or exploring the lake shore. 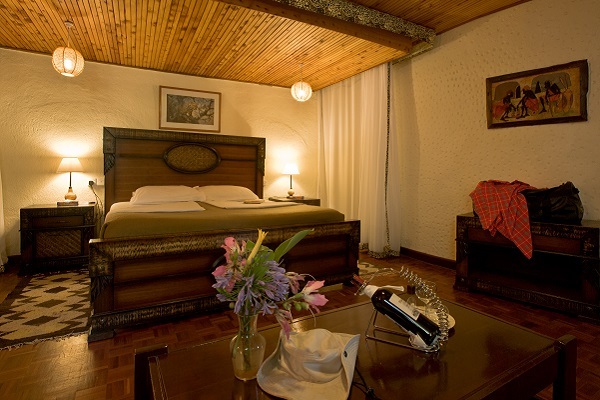 After breakfast, depart the lodge and continue down the Great Rift Valley, passing Lake Elmenteita before arriving at Lake Nakuru National Park in time for a morning game drive around the lake. This offers you the change to catch your first glimpse of the Lake’s fabled 1.2 million flamingos, and perhaps find rhinos grazing on the lakeshore (this park is the nation’s largest rhino sanctuary. Arriving at the Lake Nakuru Lodge, check-in and enjoy a leisurely lunch before setting off on another game drive around the lake, arriving back at the Lodge in time for a swim, optional cocktails and a sumptuous buffet supper. 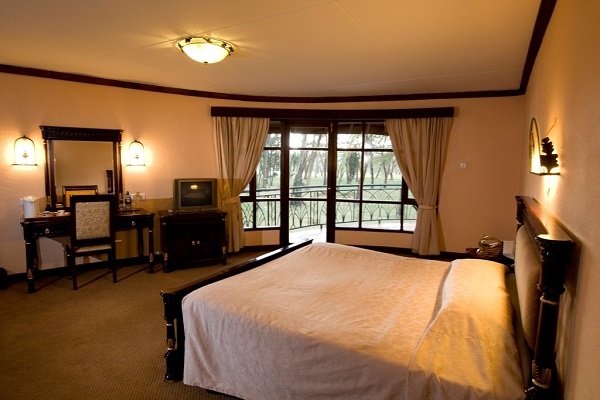 Leaving Lake Nakuru Lodge after breakfast, continue up the floor of Rift to arrive at the Masai Mara Sopa Lodge in time for lunch and spend the afternoon game-viewing across the rolling savannah plains of the famous Masai Mara National Reserve. Return in time to take a swim in the luxury pool before dinner and overnight. 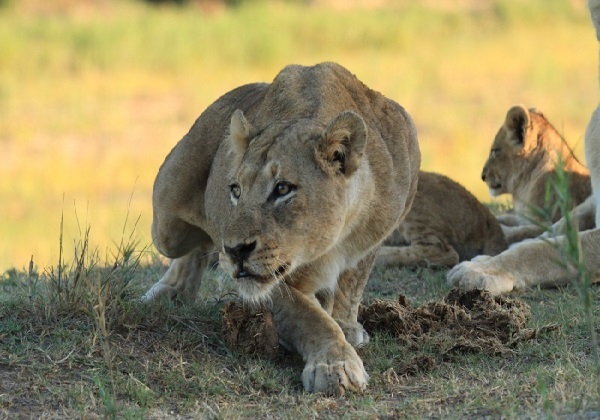 A full day’s safari in one of the world’s most famous reserves. 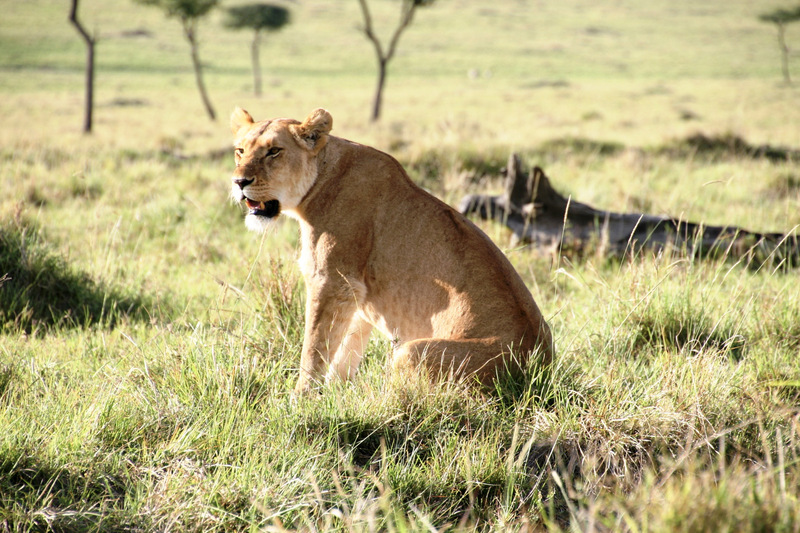 Offering an abundance of herbivores, the Mara makes the ideal hunting ground for Kenya’s famous ‘big cats’ and hosts her largest population of lions. Historically teeming with wildlife, the Mara is famous for the large herds of elephant and buffalo that wander its plains, and for the annual migration of the wildebeest (seasonal). 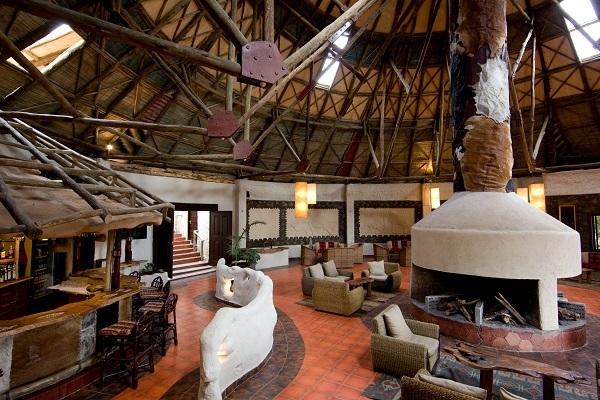 Spend the night in Mara Sopa Lodge. 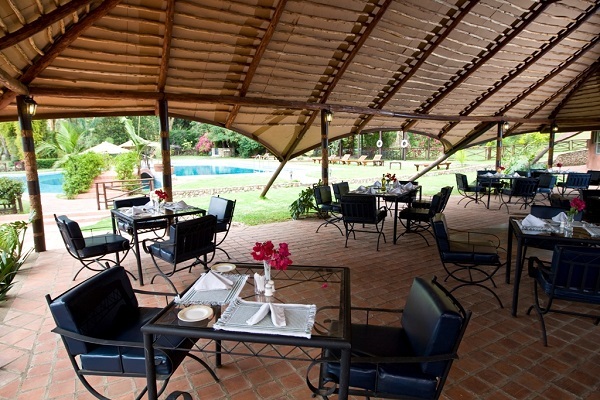 Drive or fly – (flight at an additional cost) back to Nairobi and take lunch at the famous Carnivore Restaurant with its glowing BBQs serving all manner of meats to include ostrich, gazelle, crocodile and more (plus fish, vegetarian choices, salads etc). Depart for your flight home. Traditional Masai dance, nature walks, wildlife talks, cocktails, boat ride. 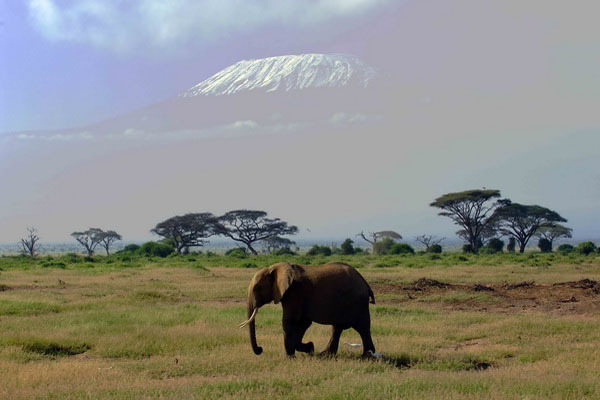 Towered over by the magnificent bulk of 5,896 m high Mount Kilimanjaro, Africa's highest mountain, Amboseli National Park is one of Kenya's oldest and most-visited safari parks. 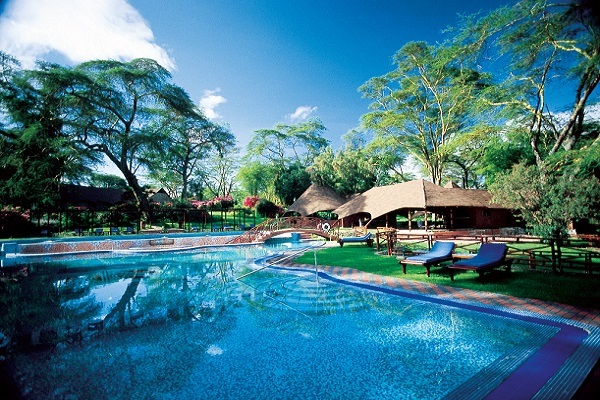 Comparatively compact and dotted with emerald green swamps in which great herds of elephants can often be seen half-submerged amongst the papyrus grasses, its panoramic vistas and stunning backdrop have made it a venue revered by Hollywood professionals and amateur safari photographers alike. Altitude:1,100-1,200 m above sea level. Location:Kajiado District, Rift Valley Province. The park (Meshanani Gate) is 230km south of Nairobi and lies lose on the Tanzanian border wit the majestic Mount Kilimanjaro in the backdrop. World renowned for the breathtaking spectacle of ‘the greatest wildlife show on earth' , the awe inspiring annual wildebeest migration, the Masai Mara National Reserve is Kenya's most visited wildlife protected area. Technically an extension of Tanzania's renowned Serengeti National Park, the Mara constitutes only 4% of the entire Serengeti ecosystem but its rolling grasslands, meandering rivers and towering escarpments offer one of the world's most rewarding and evocative wildlife Africa safari arenas. The Mara is divided into four topographical units: the Ngama Hills to the east of Keekorok and the Sekanani Gate; the Siria Escarpment, which forms the western boundary; the Mara Triangle, which lies between the Mara River and the Siria Escarpment; and the Central Plains, which lie between the Mara River and the Ngama Hills. The permanent Mara and Talek Rivers and their tributaries flow through the Reserve. Gazetted:the Mara Triangle, a 520 sq km area between the Siria Escarpment, the Tanzania border and the Mara River was declared a National Game Reserve in 1948 and brought under the control of Narok County Council in 1961. It attained its present size in 1995. 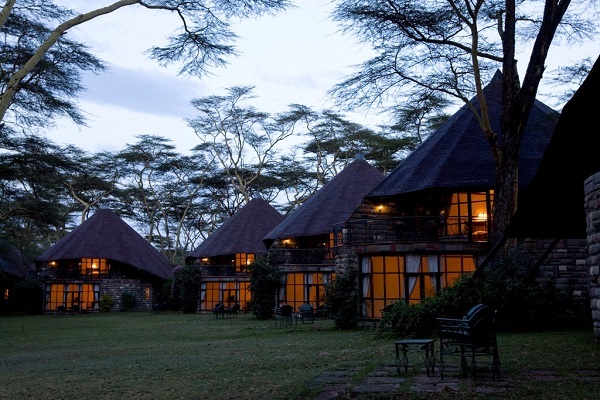 Mara Safari Climate:the Reserve receives the highest rainfall (average 1000 mm pa) in the Serengeti-Mara ecosystem. Rain falls throughout the year but peaks in December, January and April. Kenya Mara Vegetation:comprises open rolling grassland, riverine forest, acacia woodland, swamps, non-deciduous thickets, and Acacia, Croton and Tarchonanthus scrub. 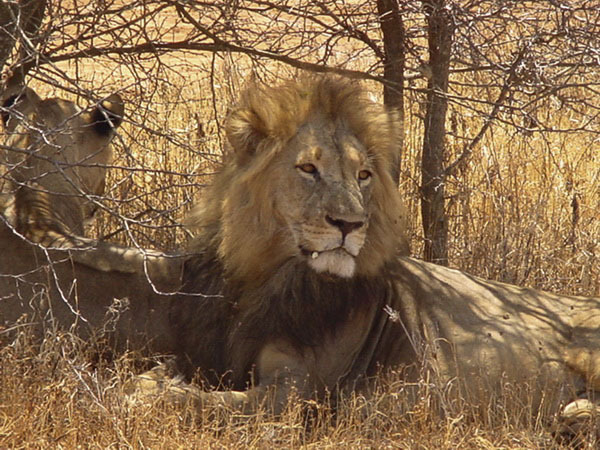 Wildlife:the Mara ecosystem hosts over 95 species of mammals. Did you know? That the migration is a comparatively recent phenomenon, prior to 1969 only a few wildebeest spilled over from the Serengeti in exceptionally dry years.